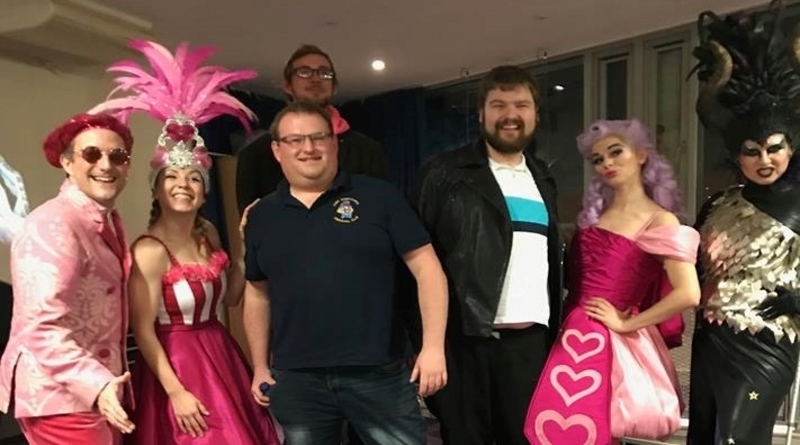 Thanks to the support of customers at Tesco stores in Salisbury the Headway Salisbury and South Wiltshire’s Young Adults’ Social Group where fortunate enough to enjoy two trips to the theatre recently, funded through Tesco’s ‘Bags of Help’ scheme. The group firstly enjoyed a trip to the Mayflower Theatre in Southampton back in November and thoroughly enjoyed the performance of Shrek The Musical. Following this, in early January the group visited Salisbury Playhouse to watch their latest pantomime ‘Beauty and the Beast’. 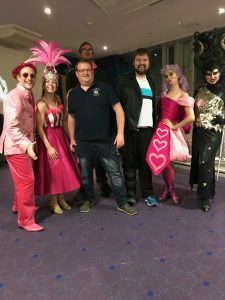 Whilst the group have been to the pantomime at The Playhouse for the last few years, this trip was made even better with front row seats and a chance to meet some of the fantastic cast after the show! The group actively welcomes new members and will continue to meet on the following dates throughout 2019: Friday 22nd February, Thursday 21st March, Thursday 25th April, Thursday 23rd May and Thursday 20th June. Further dates for the later half of 2019 will be confirmed in due course. If you, or somebody you know is interested in joining this friendly and growing social group following an acquired brain injury please don’t hesitate to get in touch. Likewise if you wish to find out more about Headway, brain injuries or this group please get in touch via youngadults@salisburyheadway.co.uk or call 07715662766.